The people were all so amazed that they asked each other, "What is this? A new teaching - and with authority! Do you know Elizabeth Campbell or Merv Schultz? They are ordinary people – one a teacher, the other a farmer but they were powerful people. Let me explain. Mrs Campbell was my year 5 teacher. I remember being upset to the point of tears because I didn’t understand how to do a particular maths problem. I also remember her kneeling beside my desk, putting her hand on my shoulder and in the gentlest and softest voice offered encouragement and very patiently showed me that I could do it. I don’t remember her words and what I was particularly upset about. It’s the feeling that I remember. Mr Schultz was a Sunday School teacher and on one occasion he was retelling the story of David and Goliath. It was end of the lesson and for some reason he said my name (maybe I wasn’t paying attention). If it was a reprimand he certainly got my attention and it kind of flowed into what he said next. "Vincent", he said, "God was by the side of David and he will always be by your side." Whether he intended to address those words specifically to me I will never know but they certainly became impressed into my mind. I don’t know where Mrs Campbell and Mr Schultz are today. I don’t know if they are still alive. I don’t know if they would remember me let alone that particular moment. Most likely not. But they had a far greater influence on my life than they could ever have imagined. A number of movies have been made about dedicated teachers who have impacted on the lives of their students but I think one of the best is Mr Holland’s Opus. Mr Holland had spent his whole teaching career encouraging and helping his students. Budget cuts force him to retire and as he walks through the school for the last time he wonders if all that he had done for his students had been worth it. But before he leaves the school he goes into the auditorium. It was packed with many of his past students. A young woman goes to the podium and says that she would never have achieved as she did without the encouragement of Mr Holland. She was the governor of the state. At the end of the movie you can’t help but ponder over the impact each of us has on the lives of other people. I don’t know who first said this but it's worth quoting, "In a hundred years from now, it will not matter what my bank account was, the type of house I lived in, or the kind of clothes I wore, but the world maybe much different because I was important in the life of a child." Each of us sitting here this morning can point to someone who has shaped us or changed us. We are indebted to those who have been effective models for us in the past. Today, we hear about Jesus teaching in the synagogue at Capernaum. Most people called him "Rabbi" which means "teacher". Now I’ll admit stilling a storm, walking on water, curing a blind man, or raising a young girl from the dead seem to be far more impressive than teaching but Mark tells us that all who heard Jesus teaching "were amazed" because "he taught them as one having authority." Mark doesn’t tell us what Jesus taught that day. Rather, he tells us how he taught—with authority. 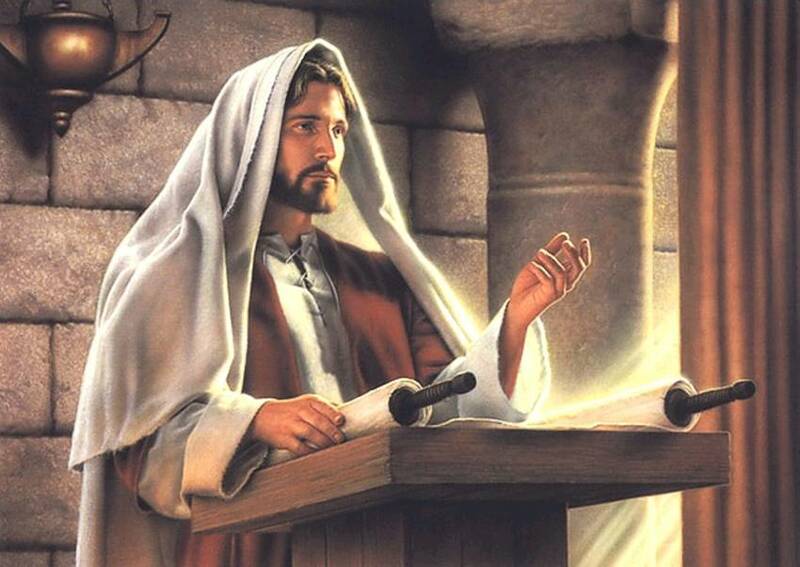 He explained what the Scriptures said with confidence and when asked a question he knew how to answer. There were no awkward silences as they waited for him to answer. It’s also interesting to note the impact Jesus had on those who heard him teaching. Without any exaggeration, those who heard him would never be the same again. When he spoke, or helped someone, the Gospel writers tell us how astounded, how amazed the people were. On one occasion Jesus astounded his listeners when he invited children into the inner circle of listeners. The disciples had tried to shoo them away when they should have known better. Jesus was keen for the children to hear what he had to say. He wanted them to get to know him. No doubt, what was seen and heard left a lasting impression on those young lives. I don’t doubt that you can recall people who have made a lasting impression on you. It’s a good exercise at some time to think back to the people who really had an impact on you and in some way influenced you and how they encouraged you along the way. It might be that you can’t specifically remember what the person said but you can remember what kind of person he/she was and the impression that was made on you that has lasted until this day. "What kind of an influence am I on the younger generation? What good and positive things are children learning from my example and from the way I speak to them? Are children learning something from me that will stand them in good stead for the future?" It doesn’t matter if we are parents or grandparents, uncles or aunts, godparents, teachers in a school, Sunday School teachers or youth leaders – if fact, anyone who has anything to do with children, in some way we are all having an influence on those young people who are part of our lives. We know very well that children and young people learn from the example of the older generations. They learn through what we say, observe our attitudes and what we do and often we aren’t even aware that they are doing so. Just listen and watch a toddler at play and you will soon see what they have picked up, both good and not so good. How can we speak with authority and have a positive impact in the lives of others? When asked to give a talk on a particular subject it’s much easier if you are confident about what you will say. You might say we can speak with some kind of authority. If we want to have any degree of confidence about how we can have a positive influence on the people around us then we need to know Jesus. We need to know the love that he has for us. We need to know how willing he is to forgive every day. We need to know how much he is committed to us and to ensuring that every obstacle in the way of our relationship with our heavenly Father has been removed. We need to know that nothing in the whole universe, not even death itself, can separate us from his love. that he still loves us even when we find it difficult to show love, patience and understanding toward someone who really aggravates us. Knowing Jesus like this and wearing our faith on our sleeve, others will be blessed by what they see in us. You see when Jesus spoke and then rescued that man from the evil spirit in the synagogue those present could see in him the loving God who had rescued their forefathers from Egypt and brought them home from exile in Babylon. Jesus spoke and delivered a man from evil and people could see God in what he said and did. When people hear and see us interacting with others they should be able to see Jesus’ love in us. In the early church people were impressed at how the Christians cared for one another, sharing with those facing hardship, willing to forgive even their harshest enemies. They were amazed that people were doing the kinds of thing that were so contrary to the way everyone else would act in the same situation. When people see Jesus’ love in us as we go about our daily tasks they can’t help but ask what it is that makes this difference. You may not be aware of what is happening and may never know that somewhere along life’s journey people will remember your example and lead them to a closer and deeper relationship with their God. I know I have been amazed again and again when a person with whom I had some dealings with years ago says, "I will never forget the day when you ….". I can’t recall that momentous event. It doesn’t standout in my mind but it was important to that person. In fact, it wasn’t what I did at all; it was God using that moment to make a difference in someone’s life. More than ever before I believe people want to see God. They know that things aren’t right in their lives and that of their children. They have let their way of life and their child’s moral and spiritual life be moulded by the world. Distressed mothers and fathers don’t understand why their child has "run off the rails". Whether they know it or not they want love, confidence, peace, acceptance, happiness and worth as individuals to be central in their lives. They look to us, the people who know Jesus, to show them through acts of kindness and words of love that Jesus is the answer they are looking for. As Christians we are in a unique and wonderful position to show people that Jesus does love them and will give them the confidence and courage they need to face the future. People remember acts of selfless love and service and who knows one day their hearts will open to the Holy Spirit and life for them will take a dramatic turn. I know there are times when we have regretted what we have said and the way we have acted that can hardly be regarded as fitting for a child of God. We have let self-centredness, impatience and a lack of compassion take the place of love and understanding. We have been downright unkind and uncaring. Realising all this is also an important lesson for others, especially the children in our lives, because they then can see our faith in Jesus. In Jesus, there is always the chance to make things right. He loves failures. He forgives our weaknesses and failings. He encourages and supports us, and through the Holy Spirit he gives us the know-how to do a better job. When God's Word and God's ways are taught and spoken about with authority – with conviction – others will see with amazement God's love for them in his Son Jesus. * This was preached on the occasion of the dedication of the staff of St Paul's Lutheran Primary School, Caboolture.